This paper reviews the work done by researchers at INRS and UBC in the field of integrated microwave photonics (IMWPs) using silicon based waveguide Bragg gratings (WBGs). The grating design methodology is discussed in detail, including practical device fabrication considerations. 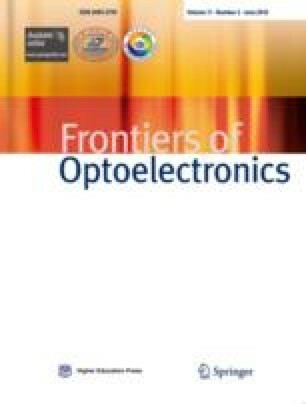 On-chip implementations of various fundamental photonic signal processing units, including Fourier transformers, Hilbert transformers, ultrafast pulse shapers etc., are reviewed. Recent progress on WBGs-based IMWP subsystems, such as true time delay elements, phase shifters, real time frequency identification systems, is also discussed. Saket Kaushal received his bachelors in Electronics and Communication Engineering from IEM Kolkata, and M.S. (research) degree in Electrical Engineering from the Indian Institute of Technology Madras, India, in 2011 and 2016, respectively. He pursued his M.S. degree with the Integrated Optoelectronics Laboratory, under the supervision of Dr. Bijoy Krishna Das. After finishing his M.S., he worked in Applied Materials Inc. as a senior application engineer till July 2017. He is currently pursuing his Ph.D. degree with the Ultrafast Optical Processing group at the Institut National de la Recherche Scientifique–Centre Energie, Matériaux et Télécommunications, Université du Québec (Canada), under the supervision of Prof. José Azaña. His recent research interests include chip based energy efficient optical signal processors for high speed communication. Rui Cheng received the B.Sc. degree from Shenyang Ligong University, Shenyang, China, in 2013, and the M.A.Sc. degree from Huazhong University of Science and Technology, Wuhan, China, in 2016. He is now working towards the Ph.D. degree in the Department of Electrical and Computer Engineering, the University of British Columbia (UBC), Vancouver, BC, Canada. His research interests lie in fiber optics and integrated optics. His current work focus on waveguide Bragg gratings. Minglei Ma received his B.Sc. degree in Xidian University, China in 2010, and M. A.Sc. degree from Beijing University of Aeronautics and Astronautics, China in 2014. He is currently pursuing his Ph.D. degree in Electrical Engineering at University of British Columbia, Canada since 2014. His research interests include silicon photonic devices and systems, optoelectronics, for applications in optical communications. Ajay Mistry received his B.A.Sc. degree in Electrical Engineering from the University of British Columbia (UBC), Vancouver, BC, Canada, in 2017. He is currently pursuing a Master’s degree at UBC. His current work as a member of the photonics and optics research group at UBC, focuses on SOI-based wide-freespectral- range filters and modulators for wavelength-division-multiplexing systems. Maurizio Burla is a SNF Ambizione grantee at the Institute of Electromagnetic Fields (IEF) at ETH Zurich, Switzerland. He received his Ph.D. degree from the University of Twente, the Netherlands, where he worked on integrated optical beamformers for broadband phased array antenna systems. From 2012 to 2015, he has worked as a postdoctoral fellow at INRS-EMT, Montreal, Canada, on microwave and all-optical signal processing based on silicon photonic devices. His current research interests include integrated photonic and plasmonic technologies for microwave signal processing, mm-wave and sub-THz wireless communication systems, and electronic-photonic integration. Lukas Chrostowski is a Professor of Department of Electrical and Computer Engineering at the University of British Columbia, Vancouver, BC, Canada. Born in Poland, he earned the B.Eng. degree in Electrical Engineering from McGill University and the Ph.D. degree in Electrical Engineering and Computer Science from the University of California at Berkeley. With research interests in silicon photonics, optoelectronics, highspeed laser (VCSEL) design, fabrication and test, for applications in optical communication systems, biophotonics and quantum information, he has published more than 200 journal and conference publications. He co-edited a book “High-Speed Photonics Interconnects” (2013), and co-authored the book “Silicon Photonics Design” (Cambridge University Press, 2015). Dr. Chrostowski served as the co-director of the University of British Columbia AMPEL Nanofabrication Facility between 2008 and 2017. He was the Program Director the NSERC CREATE Silicon Electronic- Photonic Integrated Circuits (Si-EPIC) research training program in Canada (2012–2018), and has been teaching numerous silicon photonics workshops and courses since 2008. He spent his 2011–2012 sabbatical at the University of Washington, Seattle, with Michael Hochberg’s group. Dr. Chrostowski received the Killam Teaching Prize at the University of British Columbia in 2014. He was an elected member of the IEEE Photonics 2014–2016 Society Board of Governors and served as the Associate VP of Education. He was awarded a Natural Sciences and Engineering Research Council of Canada Discovery Accelerator Supplements Award in 2015 for his research in silicon photonics integrated circuit design. José Azaña received the Telecommunication Engineer degree (six years engineering program) and Ph.D. degree in Telecommunication Engineering from the Universidad Politécnica de Madrid (UPM), Spain, in 1997 and 2001, respectively. He has carried out scientific research work at the University of Toronto, the University of California at Davis, and McGill University in Montreal. Presently, he is a professor at the Institut National de la Recherche Scientifique–Centre Energie, Matériaux et Télécommunications (INRS-EMT) in Montreal/ Varennes, where he holds the Canada Research Chair in “Ultrafast Photonic Signal Processing”. Prof. Azaña’s research interests cover a wide range of topics, including ultrafast photonics, optical signal processing, fiber-optics and integrated-waveguide technologies, optical pulse shaping and waveform generation, optical telecommunications, all-optical computing, measurement of ultrafast events, light pulse interferometry, and broadband microwave signal generation, analysis and processing. He has to his credit more than 450 publications in top scientific journals and technical conferences, including above 200 contributions in high-impact peer-review journals (with most publications in the OSA, IEEE, and Nature Publishing Groups) and many invited and co-invited journal publications and presentations in leading international meetings. His published works have been highly cited by his peers. Prof. Azaña is a Fellow Member of the OSA. He has served in the technical program committee of numerous scientific conferences and technical meetings, and he has been a Guest Editor for the EURASIP J. Appl. Signal Proc., IEEE/OSA J. of Lightwave Technol., Chinese Science Bulletin, and Elsevier Opt. Comm. Presently, he is an Associate Editor of IET Electronics Letters. Prof. Azaña’s research outcome has been recognized with several research awards and distinctions, including the XXII national prize for the “best doctoral thesis in data networks” from the Association of Telecommunication Engineers of Spain (2002), the “extraordinary prize for the best doctoral thesis” from UPM (2003), the 2008 IEEE-Photonics Society (formerly LEOS) Young Investigator Award, and the 2009 IEEE-MTT Society Microwave Prize.